Due to less revenue from outside of Canaan and higher testing costs, the budget at the start of 2017 had a shortfall of revenue of about $40,000. Part of that deficit is being made up by a 15% increase in fees. This results in a $21 increase every quarter and raises about $20,000 to cover the shortage in revenue. We are searching for savings to offset the rest of the shortage. Operator John Coffey applied for grants and used very creative shopping treduce the cost of electricity in the wastewater system. The first part was to install new pumps and controllers in the sewage pump station in the Village. 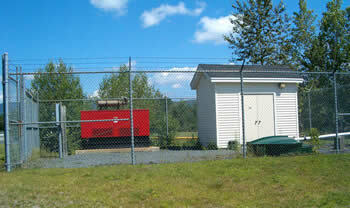 The variable drive controller will be installed on the pump motors in our underground pump station in Canaan Village. 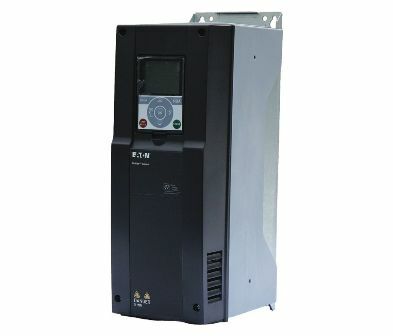 This variable drive will use just the power actually needed to move the sewerage flow. This will reduce the peak demand as well as overall power usage. The second strategy was to acquire a used defuse air bubbler that pumps air into the waste water lagoons to break down the wastes. 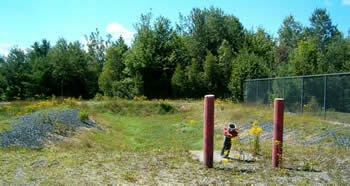 A series of these bubblers will release air from a single compressor feeding both sewage lagoons. Overall, these changes should result in about $6,000 in savings. On the night of Tuesday, May 24 the Village experienced a major water line break on the pipeline that passes under Indian River by the Route 4 bridge. This is the second break at that location in three years. A three foot section of the pipeline was cut out and replaced. The picture shows the 3 foot section that was removed. In the picture you can see the hole that was present and the stainless steel collar that was put on three years ago to repair the prior leak. You can also see a great deal of corrosion in the line. As it turns out, the line is very old. The line is made of bituminous coated ductile iron. Almost immediately after repairing that leak, several new leaks were discovered. The leaks are continuously dropping water pressure throughout the system and making it difficult to keep the tank filled. Those leaks, coupled with the corrosion that has blocked about half of the pipe's capacity, led to the decision to replace the line from Williams Field to the Graceville Road intersection. 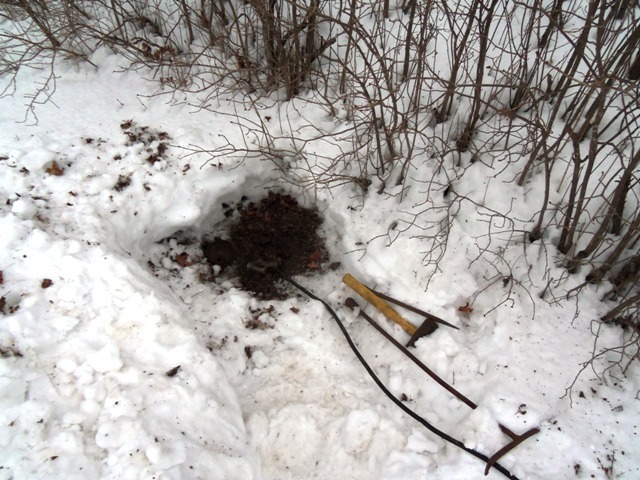 Permits were applied for to dig up the entire old line and put in a new line. A completely new water line was installed between Williams Field and Graceville Rd in November 2016. 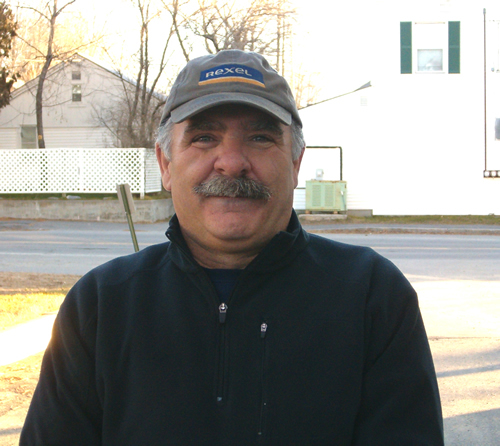 The Town has relied on revenue from effluent dumping from a condominium association in Enfield. That revenue has been about $15,000 to $20,000 a year. The revenue is no longer coming to us since the system in Enfield is being replaced. As a result, we have a short-fall in the revenue for water and sewer of about $20,000. It is likely that the water rates will go up about 10% during 2017. During the year, we discovered that there are homes with old water service lines (lines that run from the curb shut-off to the home) that are made of lead. We are checking all homes and will replacing the service lines as they are discovered. On Saturday, April 30th, the Valley News ran an article about lead in some water tests in the Canaan Village Water System. The following are some related facts about Village water and the presence of lead. Canaan water is tested every year for the presence of lead. Traditionally, 10 to 20 homes in Canaan are tested per year. That's about 5 to 10% of the homes. The locations are selected by the State. We ask those homeowners to take a water sample first thing in the morning that we then send out for testing. In 2014, we took samples from 20 locations (10%) and performed a total of 23 tests. Five of these test in 4 homes indicated the presence of lead that could be a concern. One of those homes was tested twice and had an elevated lead level both times. The rest of the levels were safe. Safe tests included four tests in the elementary school. In 2015, we took samples from 43 of the 200 buildings in the Village including the school and senior center. We tested 22% of all buildings. Three buildings indicated the presence of lead. That is about one and a half percent. The rest were safe and the safe areas included both the school and the senior center. What do these tests show? 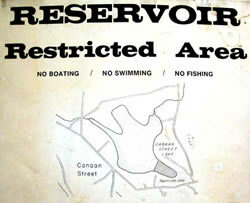 First, there is no universal presence of lead in Canaan Water. Second, there is the presence of lead in some homes in Canaan. 2014 - 23 tests in 20 locations - 4 locations had high lead. 16 locations were safe. The school was safe. 2015 - 43 tests in 40 locations - 3 locations had high lead. 37 locations were safe. The school and the senior center were safe. Why is there lead in the water in some homes? Lead can come from a number of sources. Where the lead is present in only a few of the homes, the likely source is in the plumbing of those homes. There can be water lines in the home that have been connected using lead solder. As the water passes through the pipes, it can dissolve the solder which then creates a reading of lead in the water. There can be very old service connections that have lead pipes that connect the homes to the water main. Again, lead can be dissolved in the water as it passes through these pipes. All of these issues are related to a specific property rather than the whole system. We are trying to determine if the problem is in the home or between the water main and the home. If it is in the connection between the water main and the home, we will replace it. If it is in the home, we will advise on how to manage the problem. Click on the Water Quality Tab above to learn more about dealing with lead in your water. All aerators are now operating at the wastewater lagoons. These are used to add oxygen to the waste water. At least four dwellings had leaks in their water lines which were repaired. There were 9 water line freeze ups and 8 sewer line freeze ups this past winter. This is some of the equipment used to thaw lines. There are discussions with Canaan Motorclub, LLC, to extend water and sewer capacity to new facilities which will be constructed next year. The capacity they are seeking will only use a minor part of the reserve capacity we have for both water and sewer. Any expense associated with the extension will be paid by Canaan Motorclub. 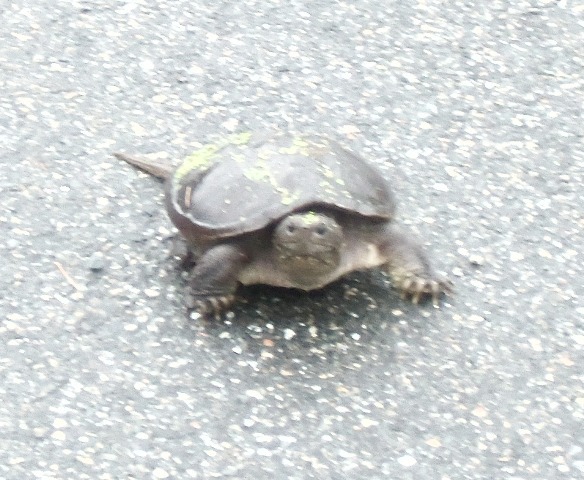 Team mascot, Fred, lives in the lagoons where the gray water goes. Lakeside Condominiums in Enfield are delivering 18,000 gallons of gray water a week to our waste water system. We have about 280,000 gallons a week of reserve capacity. The waste is generating 3 cents a gallon or $540 a week in additional revenue. We will probably continue taking the gray water through 2016. Hydrant flushing has continued this year to remove any buildup of rust in the water lines. Manholes and storm water grates have been lifted on Route 118 and Canaan Street as part of the state's paving projects. A smaller chlorine tank has been installed to improve the quality of chlorine and all of our chlorine residuals levels are within normal range. All lead tests have been negative except for one individual house. Water lines have been replaced to increase water pressure in several areas. Follansbee upgrade from 1/2 poly line feeding 5 homes to a new 2" line and a new blowoff. With storms and electrical surges this year, the Depot Street pump station has needed repairs. New Vacuum pumps and Sensor electrodes were installed at Depot Street pump station. During 2014, the Canaan Water and Sewer Department flushed all lines and hydrants and made several repairs to water, sewer and storm sewer lines. 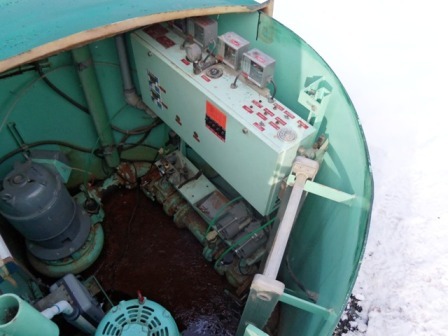 Residuals continued to be closely monitored with an emphasis placed on rotating the water in the storage tank. 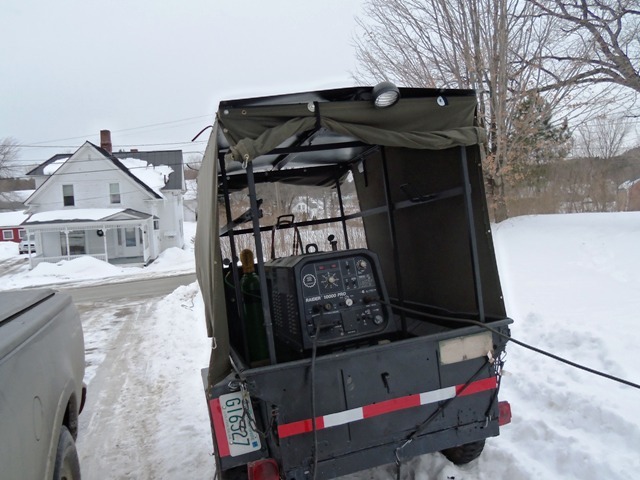 Using the services of Granite State Rural Water Association, the Department checked about .4 of a mile of line and found no leaks. Beyond that testing, seven leaks were found and repaired on Chief's Drive, Highland, at a hydrant on the corner of Bruce Road and Route 4, Batten Lane, 56 Route 118 and 1167 US Route 4. A second event has been the overall reduction in water usage since the new rates per gallon have gone into effect. Water consumption is down about 6%. In June 2013, 500 feet of new 2 inch waterline was installed on Highland Ave and approximately 400 feet was installed on Follansbee Road. Both of these waterlines have new blow-off hydrants to maintain water quality. Significant changes were made in the operation of the water storage tank to conserve water and assure that the water is fresh in the tank. Water intake filters were cleaned for the first time in many years. Fire hydrants were flushed this year to verify their capability and to clean out the service lines. Water quality related to chlorine residuals is still well within state limits – we are going on two years of good tests results. All new water meters were installed by January 1, 2013. We thank everyone for working with M2 Water Services to complete the initial installations in three weeks! CAUTION - If you used heat tape on the old meter, please check your system to make sure the tape has been re-attached. Remember that these meters are plastic and should not be over heated to the point where the plastic melts. We have submitted a water conservation plan to the state that will equalize the water and sewer rates for all users over the next two years by dropping the lowest users' rate to equal the largest users' rates. Result is 50% less chlorine used and 50% less chlorine residuals in the water and less corrosion of copper pipes. 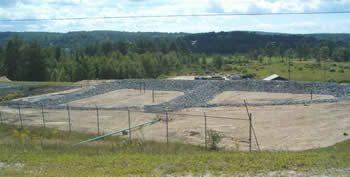 The rebuilding of the four Rapid Infiltration Beds to increase the Town's capacity to return aerated effluent to the soil. Result is that the system's overall capacity increased from 55,000 gallons per day to 75,000 gallons per day or a 36% increase. A few homes in Canaan Village have plumbing that leaches lead into their water. If lead is found present in your home, we will notify you. Lead can enter your home from lead plumbing materials which can include pipes from the streets, interior pipes, faucets, fittings and the solder that holds them all together. If these fixtures become corroded they can begin to release lead into the water. Corrosion is most likely to happen when water has a high acid or low mineral content and sits inside pipes for several hours. While homes built before 1986 are the most likely to have lead plumbing, it can be found in newer homes as well. Until two years ago, the legal limit for "lead-free" pipes was up to 8% lead. As of January 1, 2014, all newly installed water faucets, fixtures, pipes and fittings must meet new lead-free requirements, which reduces the amount of lead allowed to 0.25%. But that doesn't apply to existing fixtures, such as what is found in many older homes. Before using any tap water for drinking or cooking, flush your water system by running the kitchen tap (or any other tap you take drinking or cooking water from) on cold for 1-2 minutes. Then, fill clean container(s) with water from this tap. This water will be suitable for drinking, cooking, preparation of baby formula, or other consumption. To conserve water, collect multiple containers of water at once (after you have fully flushed the water from the tap as described). If the lead in your home's water is from a pipe from the street, additional flushing is necessary any time you wish to use tap water for drinking or cooking, especially when the water has been off and sitting in the pipes for more than 6 hours. Before using any tap water for drinking or cooking, run high-volume taps (such as your shower) on cold for 5 minutes or more. Fill clean container(s) with water from this tap. This water will be suitable for drinking, cooking, preparation of baby formula, or other consumption. In either situation, drink or cook only with water that comes out of the tap COLD. Water that comes out of the tap warm or hot can contain much higher levels of lead. Boiling this water will NOT reduce the amount of lead in your water. Children and pregnant women are especially vulnerable to the effects of lead exposure. Therefore, for homes with children or pregnant women and with water lead levels exceeding EPA's action level of 15 ppb, CDC recommends using bottled water or water from a filtration system that has been certified by an independent testing organization to reduce or eliminate lead for cooking, drinking, and baby formula preparation. Because most bottled water does not contain fluoride, a fluoride supplement may be necessary. Make sure that repairs to copper pipes do not use lead solder. The Consumer Confidence Report (CCR) details the quality of your drinking water, where it comes from, and where you can get more information. This annual report documents all detected primary and secondary drinking water parameters, and compares them to their respective standards known as Maximum Contaminant Levels (MCLs). The sources of drinking water (both tap water and bottled water) include rivers, lakes, streams, ponds, reservoirs, springs, and wells. As water travels over the surface of the land or through the ground, it dissolves naturally-occurring minerals and, in some cases, radioactive material, and can pick up substances resulting from the presence of animals or from human activity. To learn more about the water in our local area, click on the link to read the full report. The primary issues for previous years were chlorination residuals levels in the water and their impact on dissolving lead and copper in older plumbing systems. 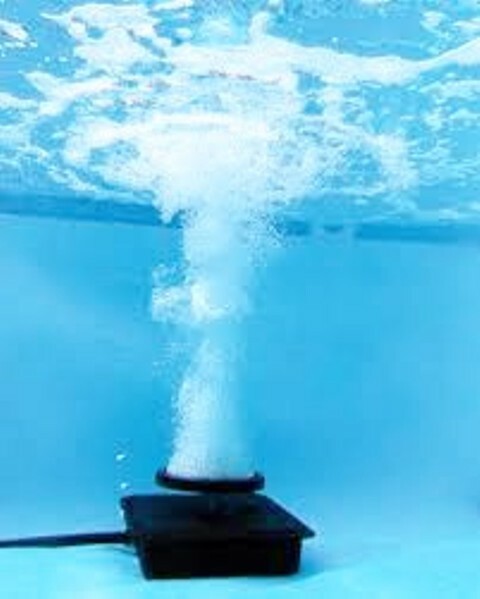 The key to improved water was to decrease the use of chlorine. The Canaan water system has addressed these issues by changing water sources and managing chlorination better. Quarterly Testing indicates that the residuals are being properly managed. Residuals from chlorination may be a cancer risk if they are too high. 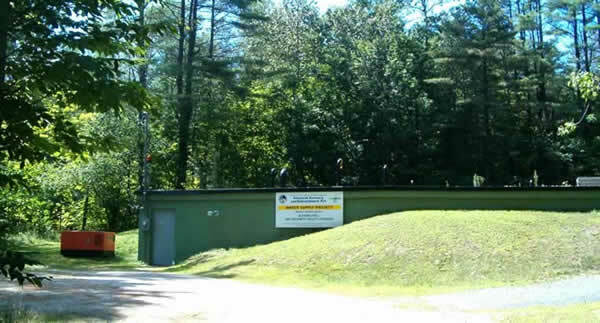 The Canaan water system has been actively working to reduce the use of chlorination through the use of deep water wells and better metering of chlorine. The results during the last year show no tests that exceed state recommended levels. Canaan Street Lake and drilled deep well. 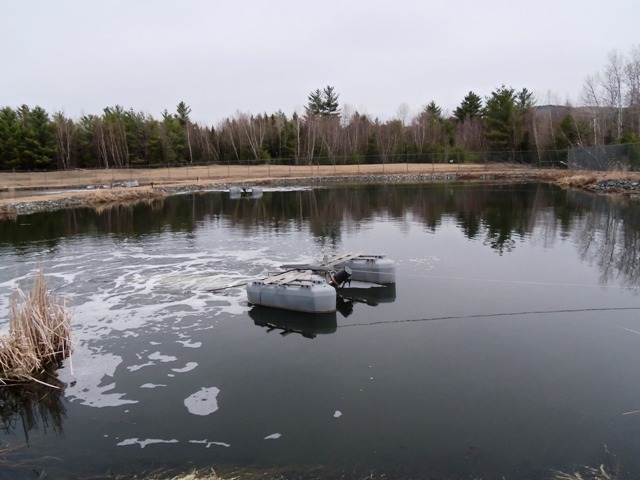 normal lake water contamination and radon from deep water well. Lake water is treated by sand filter and chlorinated. 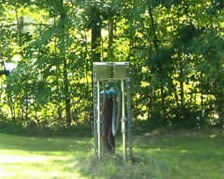 Well water is treated by blending with lake water to reduce radon trace levels. Water is stored in 286,000 gallon storage tank. Water is transmitted by pipeline throughout the village to 158 residences and businesses. 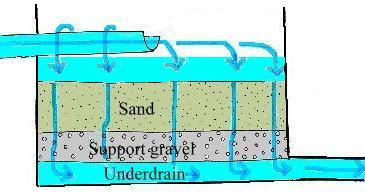 Individual septic tanks process solids through bacterial degradation and then discharge fluid to municipal system. Collection sewer lines transport to a pump station on Depot Street. Pump station pumps liquid to Wastewater Plant behind transfer station. 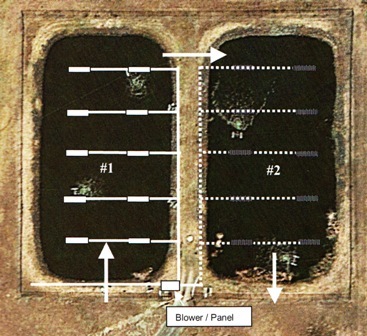 Lagoons aerate effluent as it comes into wastewater plant to increase dissolved oxygen. Treatment plant transfers the fluid that has been aerated to the Rapid Infiltration Beds. they return the treated fluid to the ground. Canaan Wastewater pumps the tanks on the system to remove the decomposed solids which are cured and dried in sludge beds at the wastewater plant and then tilled into the soil. 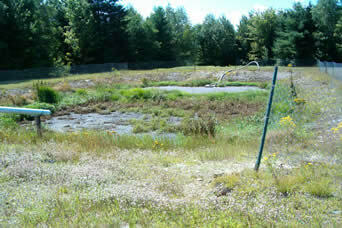 The plant's septage beds also accept septage from other non-municipal septic tanks located in the Town of Canaan. Canaan's water and sewer is billed on the actual flows that you use – little changes in your home can save thousands of gallons per month. Open the following information sheets to see how you can lower your water and sewer bills.